Some time ago, studies were published suggesting that planets in the alpha Centauri system are highly likely to be constantly exposed to the harmful effects of X-rays emitted by nearby stars. However, as it turns out, the two brightest stars of the system - Alpha Centauri A and B - are much more life friendly than originally thought. NASA's Chandra Observatory, a space telescope working in the field of X-rays, has been used in this new study. Chandra monitored the amount of X-rays emitted by each star of the system. Excess X-rays can destroy the planet's atmosphere and thus deprive hypothetical life forms of natural protection against the cosmic environment. Surprisingly, the potential planets surrounding two of the three stars of alpha Centauri can create better conditions for life than our Sun. Alfa Centauri is a three-star system. Alfa Centauri A and Alfa Centauri B form a tight double system. Alfa Centauri A is a star largely similar to our Sun, except that it has a slightly higher weight (1.09 times the Sun's weight) and is therefore about a half brighter than the Sun. Alfa Centauri B weighs 0.9 times the weight of the sun and has half the brightness of the sun. The third star is Proxima Centauri, the red dwarf who circles the inner stars around the far orbit at a distance of 13,000 astronomical units. Chandra X-ray Observatory observations have revealed that the Alfa Centauri A star environment is more life friendly than the Sun environment, as it emits lower doses of X-rays into its own "residential zone", the area around the star within which life can develop. Alpha Centauri B creates an environment that is only slightly inferior to the sun, releasing five times as much X-rays into the environment. 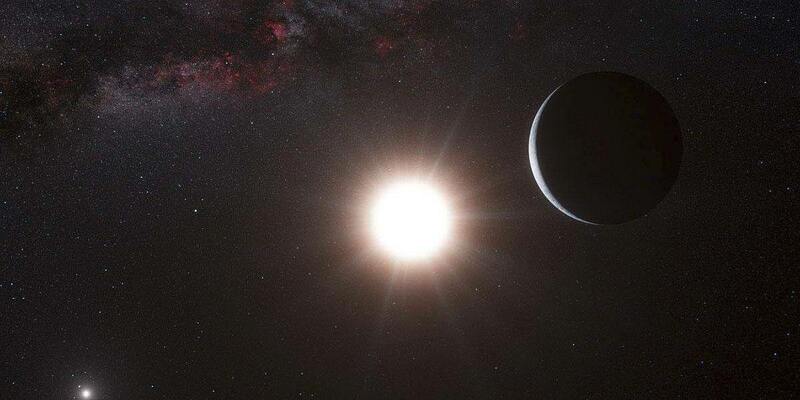 The reality with the third star, Proxima Centauri, is very different. This red dwarf emits about 500 times more X-rays into its living area than the Earth receives from the Sun. It has been noted in previous studies that Proxima Centauri has emitted a giant glow. For 10 seconds, the star shone 1000 times brighter than normal. This puts the presence of life near the star in great doubt. Unfortunately, the only exoplanet whose presence in the alpha Centauri system has been confirmed orbits the hostile Proxima Centauri. Scientists, however, have high hopes of finding further planets.